As digital materials have increasingly made their way into researcher workflows, the mix of content being used to support research and teaching have evolved. In 2012, Ithaka S&R’s renowned Faculty Survey found that faculty were using and assigning a widening variety of content including primary sources, working papers, conferences proceedings and monographs. In 2014, a ProQuest survey revealed similar results: while traditional peer-reviewed journals were of key importance to users, they were only one of several types materials researchers and faculty were tapping to conduct their work. • What types of information do you use in your research? • What types of information do you direct your students to? Now in 2017, ProQuest’s most recent survey confirms that the importance of content diversity remains stable, but the resources that are in-demand are changing. Print books continue to be the most commonly used non-journal resource, but have slipped somewhat in importance. 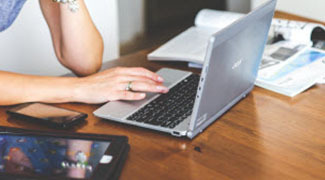 The use of video and blogs in research and teaching have risen significantly, and ebooks continue trending upward as well. The information needs of researchers change constantly. New technologies. Changes in curricula. The emergence of new subject areas and disciplines. These are just a few of the factors that impact the kinds of content researchers need, and the ways they access it. Research is changing. Users are exploring more content types than ever before, mixing newspapers, ebooks, video, documents, reports and more to strengthen research. The fastest growing and largest multidisciplinary research database available. Millions of ad-free, authentic, and often exclusive items are made easy for users of all skill levels to discover and share. In the last year alone, this resource updated 39 databases with 1,800 new periodical titles, and added 400 newspapers, 450,000 working papers and 44 million company records from Experian. The first ebook subscription service of its kind continues evolving. Researchers benefit from unlimited multi-user access, and libraries enjoy superior admin and acquisition tools delivered on a platform built for books. 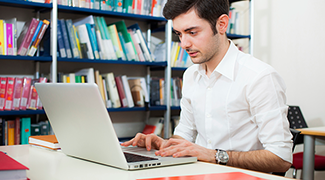 Academic Complete has grown to 145,000+ titles from the largest pool of aggregated content available. Streamlined and selective, Academic Complete carries key publishers and CHOICE, Doody’s, and RCL award-winning titles across diverse subjects tied to all levels of the academic curriculum, covering emerging topics, and matching graduation rate trending by degree program. 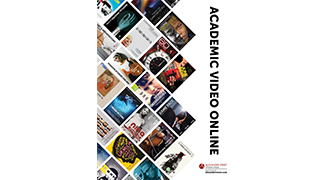 The most comprehensive video subscription offered to libraries. It delivers 62,000+ titles (17,000+ exclusively from Alexander Street) covering anthropology, arts, business, counseling, health, history and more. Curated for the educational experience, the massive depth of content and breadth of content-types (such as documentaries, films, demonstrations, etc.) included makes it useful for all types of patrons, giving libraries a high return on investment. Additionally, the Build by Choice feature automatically applies your subscription cost towards owning perpetual rights to your choice of titles. Most videos offer this option. The longer you subscribe, the more titles you own.